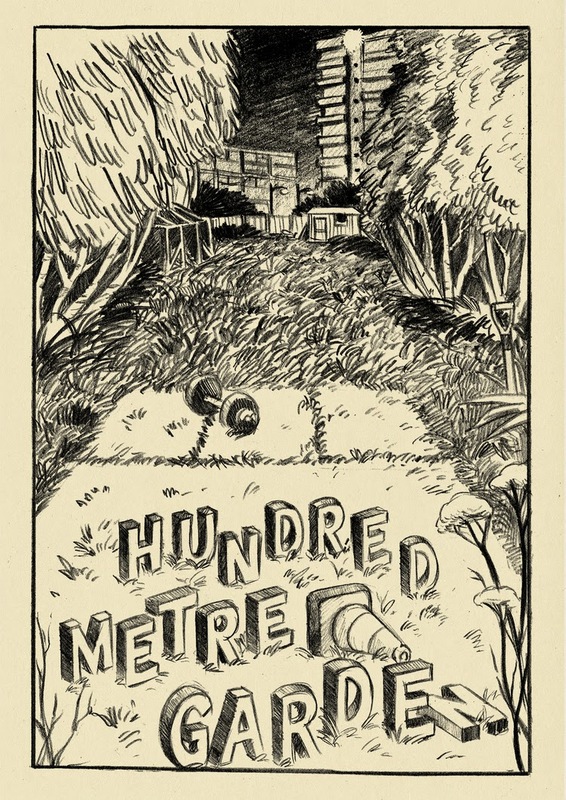 British comics publishing outfit, Great Beast, have announced the addition of Elliott Baggott to their stable, with Baggott set to publish his debut graphic novel, Hundred Metre Garden, under the Great Beast imprint later this year. Baggott has been serialising the comic, which follows a group of friends moving into a rundown house in South London, intent on turning it into the ultimate party pad, online since last year. As time passes, and the endless days of revelry taper off, the four friends descend into apathetic mood. But it's soon clear that the atmosphere is something more than the gloom of winter; it's the house itself and something that resides within it. 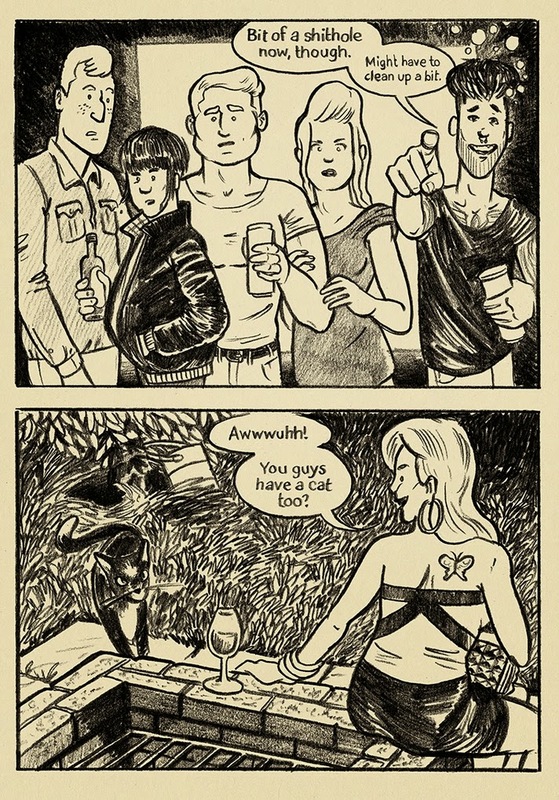 I've been reading snatches of Baggott's narrative here and there, and his ear for dialogue, assured story-telling, and keen charcaterisation remind me of Alex Robinson, and coupled with his pencilled art style, he's definitely one to keep an eye on. I think this is a really good acquisition for Great Beast; with Baggott bringing another dimension to their roster of artists, which currently includes UK comic creators such as Isabel Greenberg, Robert Ball, Warwick Johnson-Cadwell, John Cei Douglas, Adam Cadwell, and Marc Ellerby. A release date for Hundred Metre Garden will be announced in the upcoming months, meanwhile you can read parts 1 and 2 of the story here.